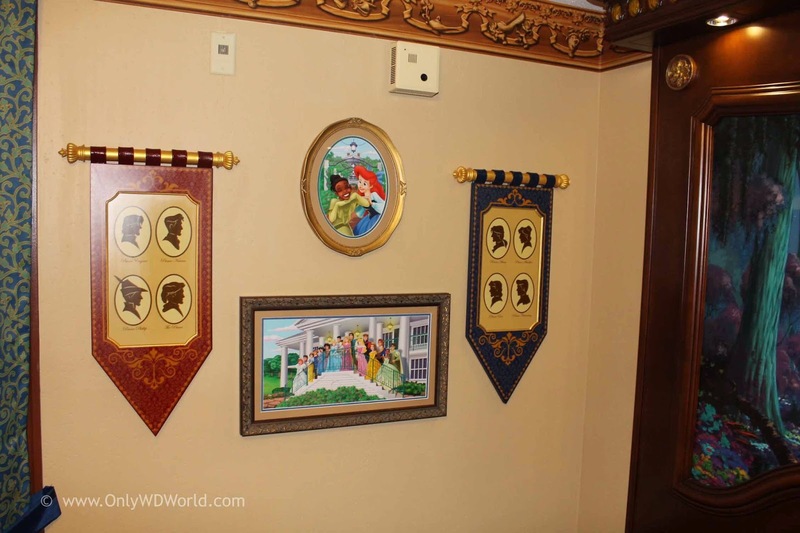 Many people visit the Walt Disney World Resort to see the Disney Princesses and other royal characters, but now some guests can seek the Royal Treatment for themselves! 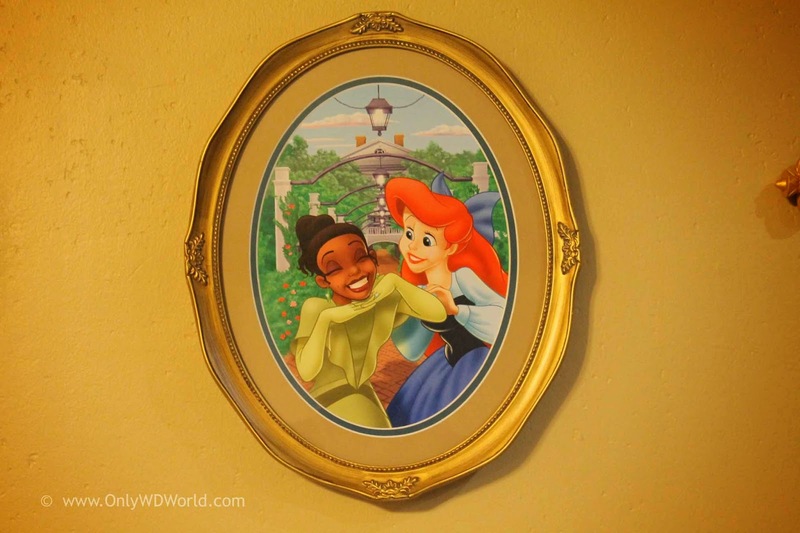 Princess Tiana has been hard at work redesigning a section of rooms at Disney's Port Orleans Riverside Resort and has enlisted some of her friends to help. 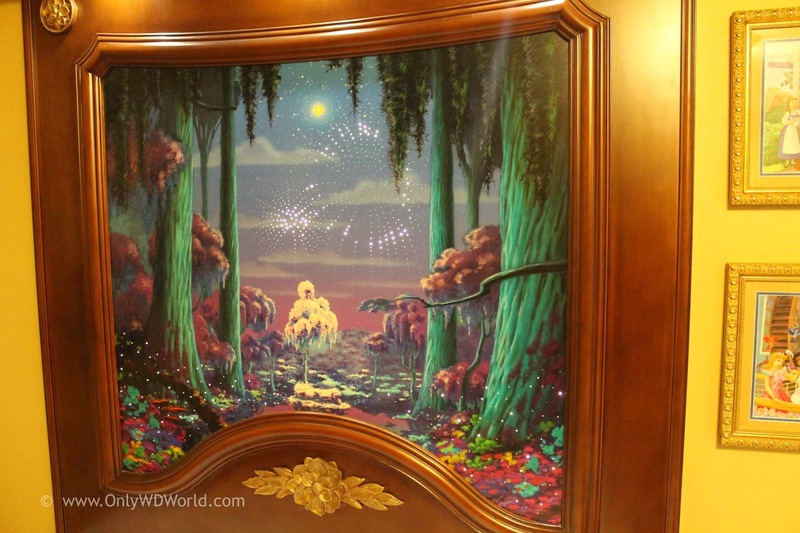 Although this is still considered a Moderate Resort, this special redesign has made these rooms a uniquely Disney experience. As you make yourself at home, you'll discover some treasured mementos my friends have given me over the years. 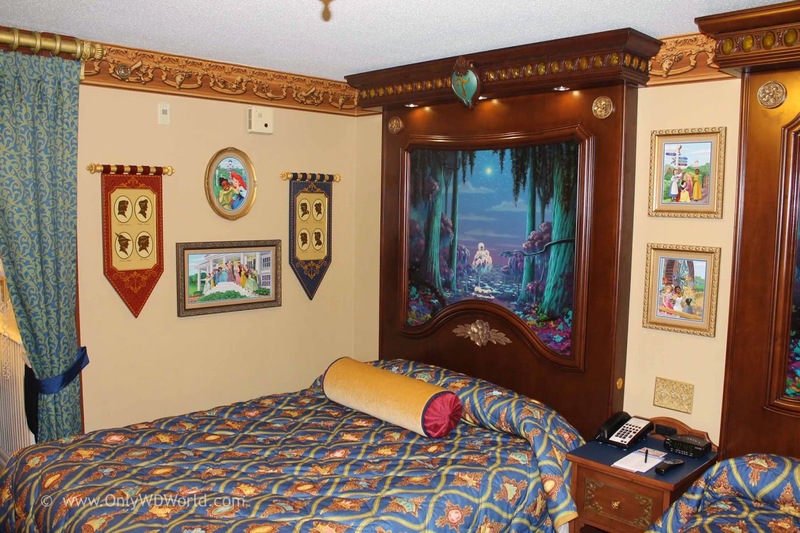 Enjoy making magical memories with you friends and family in my Royal Guest Room. 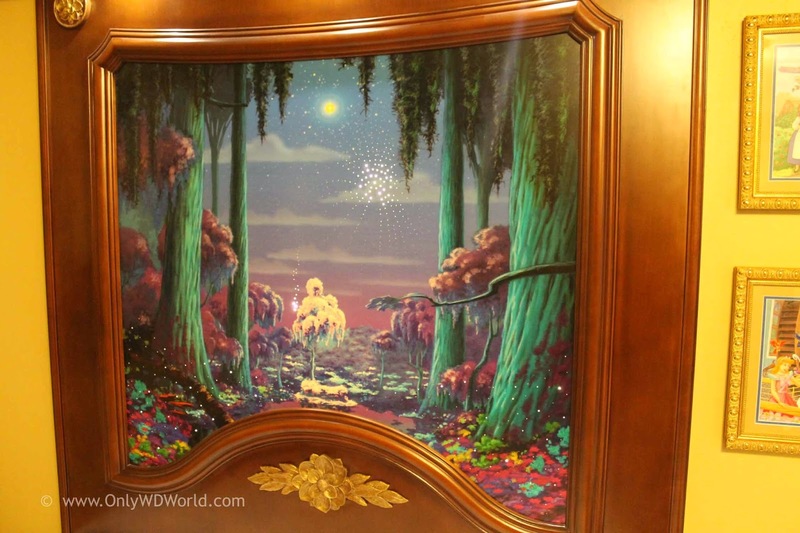 From the moment you enter one of the Royal Guest Rooms, you are surrounded by special touches that Princess Tiana (with a little help from the Disney Imagineers) has created. 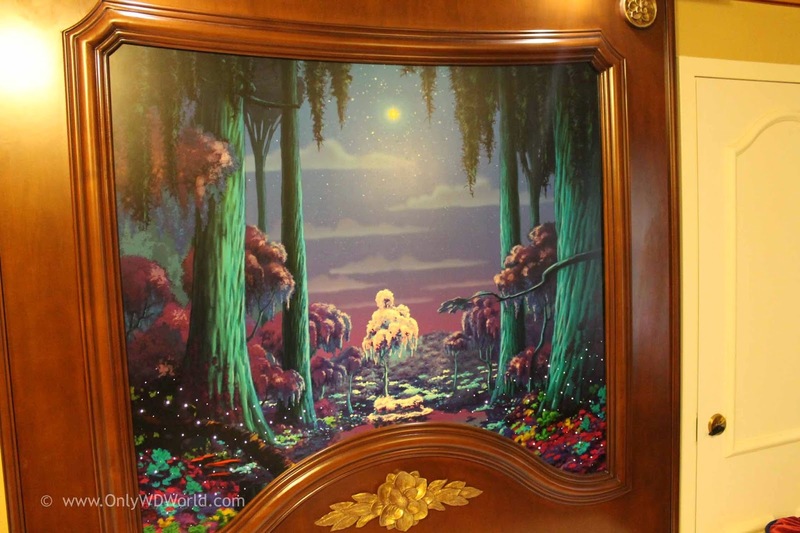 Everywhere you look, you will find a special touch. 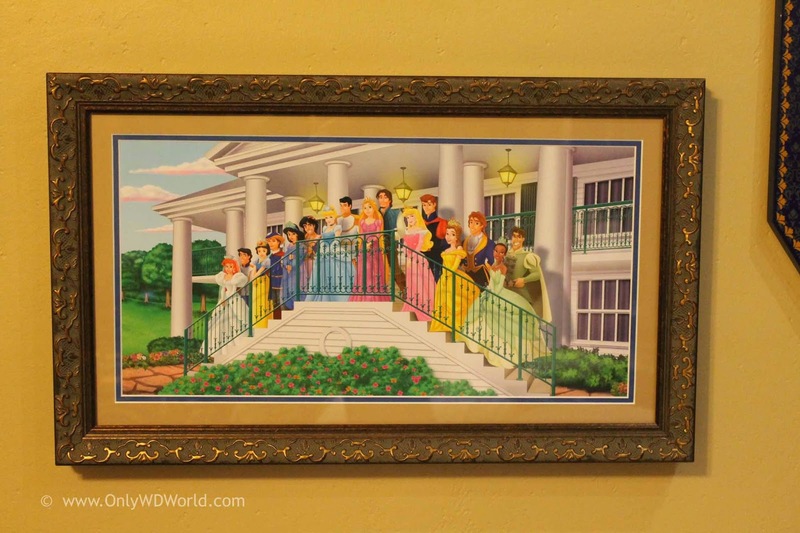 Hanging on the wall is more than your typical hotel room art. 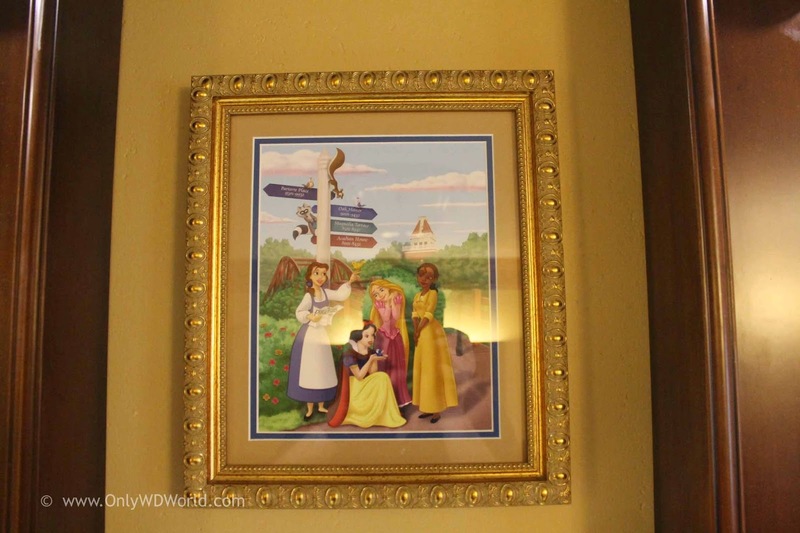 You will notice that the pictures have the Port Orleans Resort as the backdrop for the Disney Princesses. 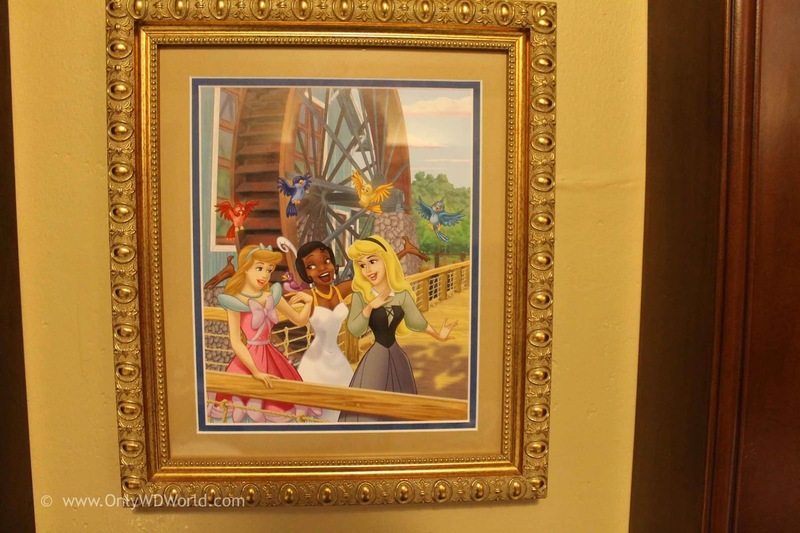 In the above pictures you will see four different locations of the resort serving as a backdrop for Princess Tiana and her royal friends. 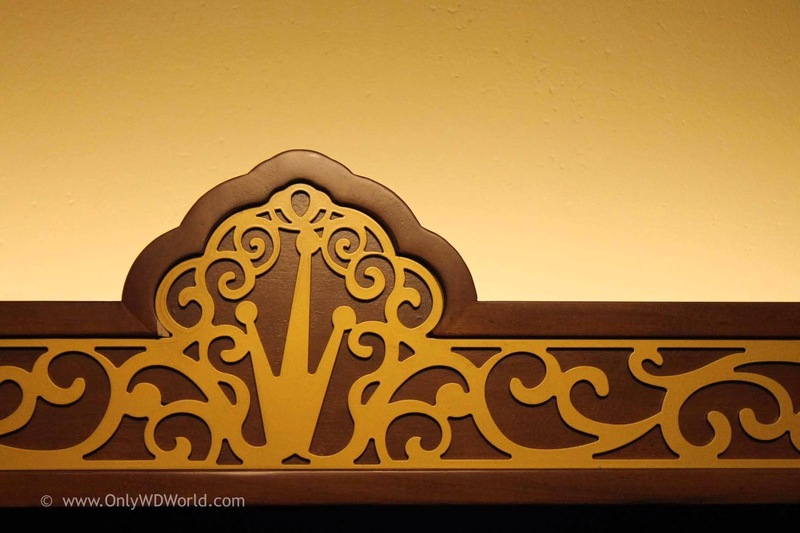 Elsewhere in the room, you will find a multitude of magical touches from wood moldings to light fixtures and furniture. 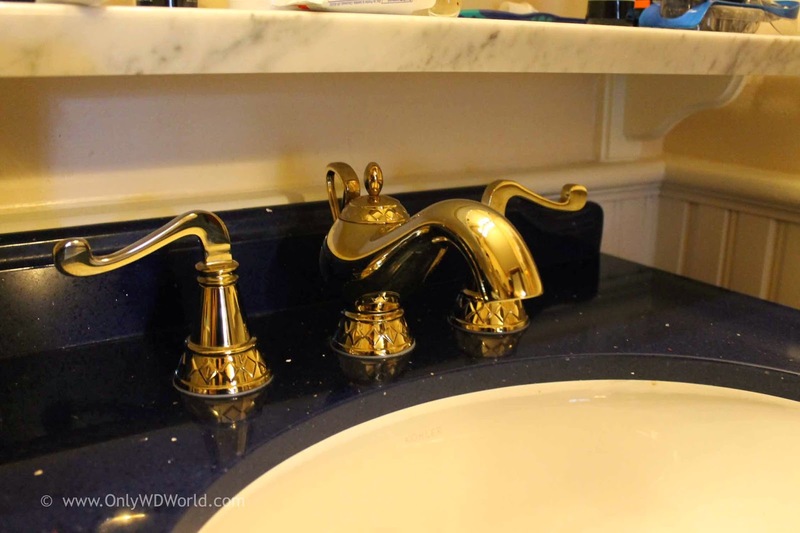 You will find a Royal coach adorned coat hook and a magical lamp shaped faucet. 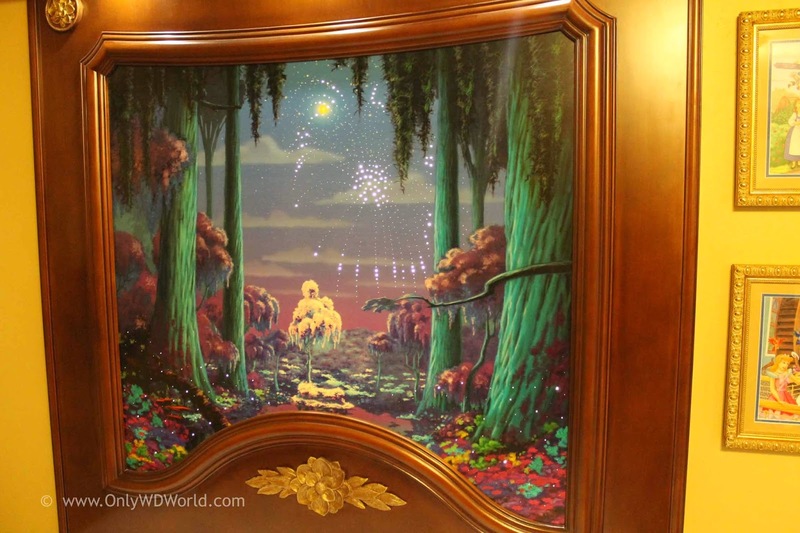 The most magical surprise of all is contained in the special headboards for the royal beds. 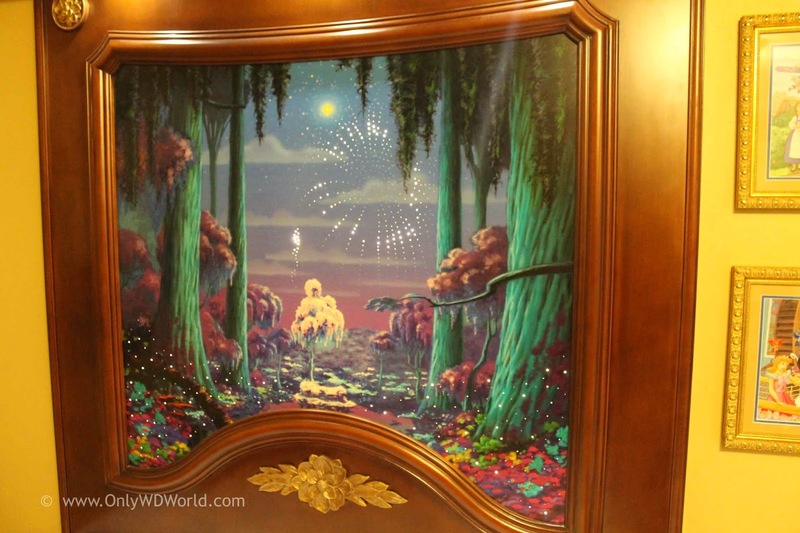 In addition to the wonderful scene depicted, you can also turn on the special lighting that makes it look like a special fireworks show is happening. 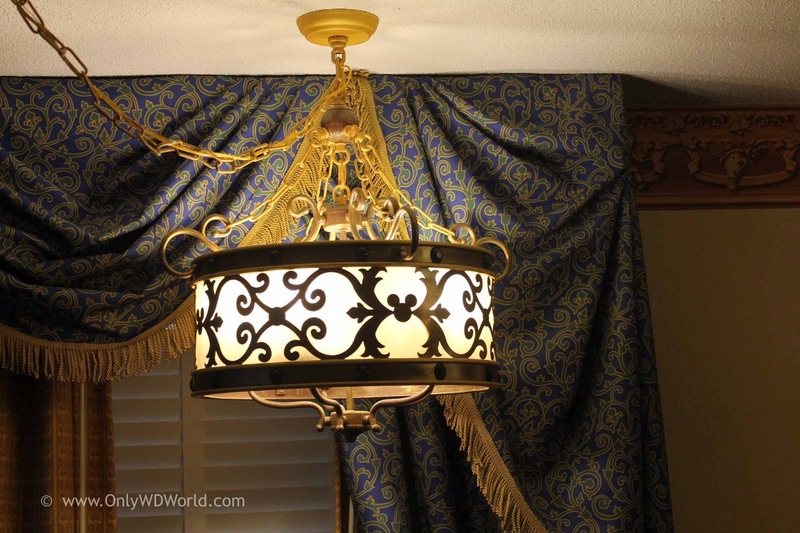 Disney Magic At A Moderate Price! 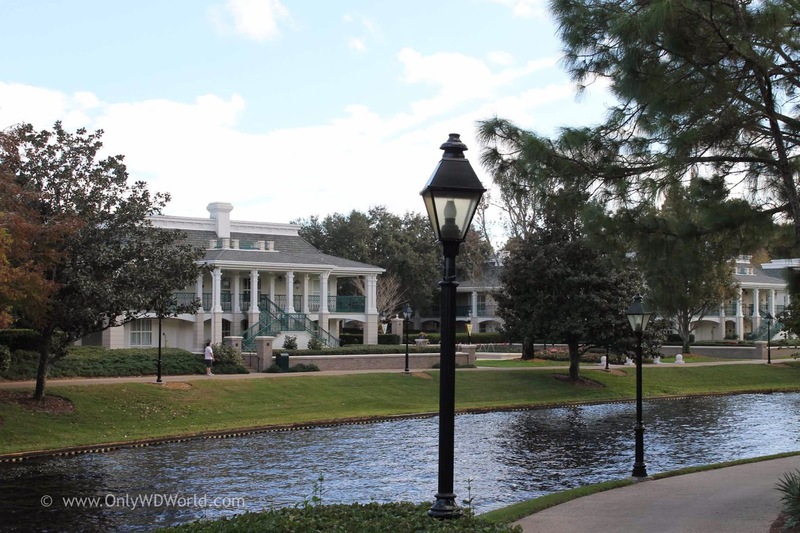 Disney's Port Orleans Resort is a Moderate Resort, but families will feel spoiled when they stay here. The grounds are lush and you truly get the relaxing feeling that you are transported to the grandeur of the South. 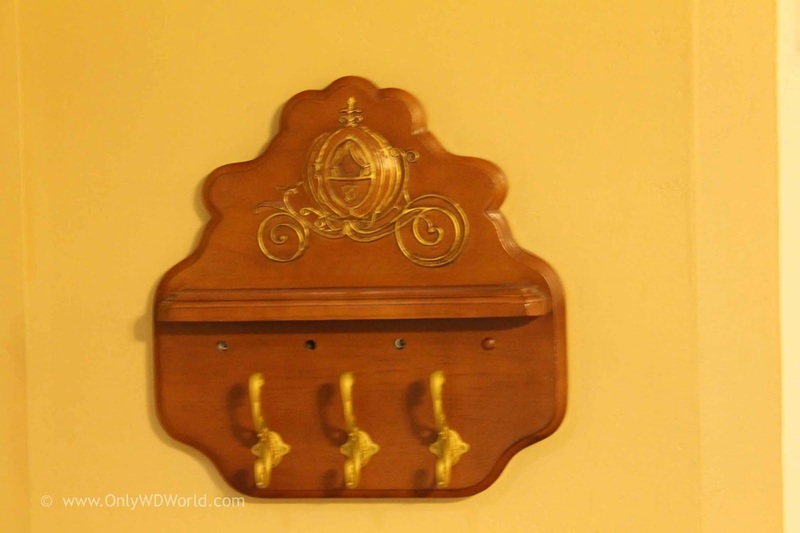 The resort is broken into two distinct sections, the Alligator Bayou which has a rustic charm and the Mansion Side, where you will find the Royal Guest Rooms. 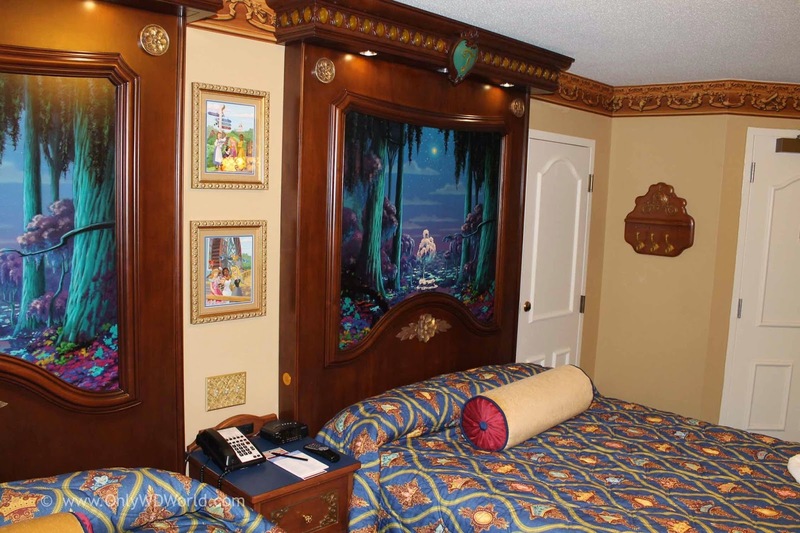 The Royal Guest rooms can accommodate families of up to 4 people and are highly recommended! 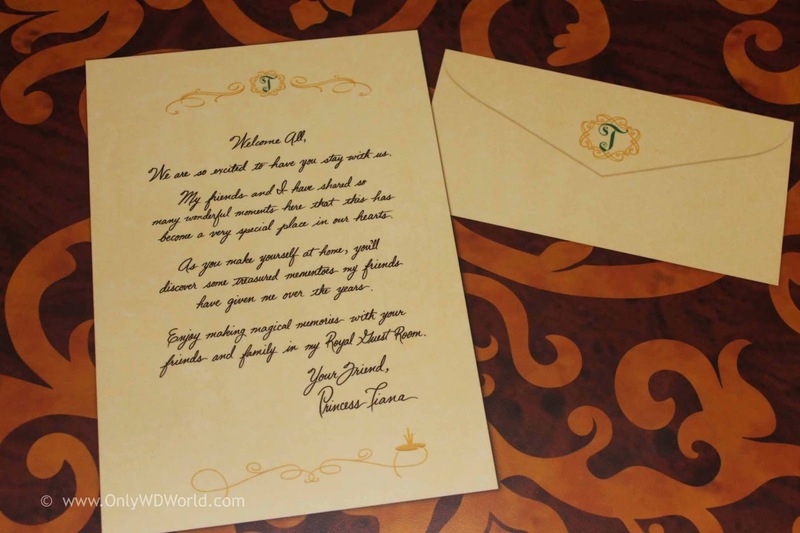 0 comments to "Disney's Port Orleans Riverside Resort: Get The Royal Treatment Courtesy Of Princess Tiana"